When ME/CFS is discussed, conversation quickly passes into the realm of infectious agents, immune system defects and, often, the autonomic nervous system. Little heed is generally paid to one of the most obvious systems affected by the condition - the muscles. The network of tissue throughout the human body, and to which the more traditional name for our disease is directly related: myalgic encephalomyelitis. A patients, what we experience as muscle-related symptoms are actually not all that unique to our condition. For the vast majority of chronic conditions, muscle fatigue, muscle aches and feelings of, or even actual, muscle weakness etc., are frequently reported associations. It is perhaps because of this that the importance of muscle function, or dysfunction, in ME/CFS has been overlooked. But let's begin with an exploration of the fundamentals and consider how our muscles work, and then return our thoughts to asking why such symptoms are seemingly so common in ME/CFS and what they could be telling us about our disease. Muscles are an integral fibrous and elastic tissue in the human body, comprised of highly specialised myocytes (muscle cells). The primary function of muscles is maintaining posture, locomotion (movement) and further movement of the internal organs. It is estimated that upwards of 50% of the total body mass in humans is comprised of muscles -- a sobering thought as to how important muscles truly are. While muscles are incredibly important throughout the body their method of action is quite remarkable in evolutionary terms. The task of converting the stored chemical energy within the body into mechanical movement is no easy feat on the large scale at which muscles operate. Before understanding the mechanism, it is quite important to have a basic grounding in the structure of a muscle down to the near-molecular level. For ease of explanation this article will focus upon skeletal muscles, however much of the fundamental information on the process is directly transferable to cardiac and smooth muscle, except for some notable differences. The diagram to the left helps to explain the fundamental parts of a muscle. This explanation moves from the large scale of a muscle down to the basic units that comprise muscle tissue. As discussed previously, a skeletal muscle is generally attached to a tendon which is in turn attached to a bone. The muscle itself is made up of numerous bundles of individual muscle fibres along with blood vessels that help innervate the muscle (or supply it with nerves), and are sometimes referred to as muscle fascicles. The muscle fibres are in themselves individual, highly specialised cells - myocytes as referenced previously. The myocyte is very elongated and is quite unlike any standard cell. They are multinucleate (have numerous nuclei along their length), contain quite high concentrations of mitochondria (to provide the required volumes of ATP, that being the energy currency of the body), and they have specialised organelles in the place of standard cellular ones. Instead of a a cell membrane, a myocyte has a sarcolemma (a specialised cell membrane) which has infoldings of the membrane into the sarcoplasm. Similarly, instead of the smooth endoplasmic reticulum which most standard cells contain, they have a sarcoplasmic reticulum which stores and releases large concentrations of calcium which is vital for the functioning of a muscle. Likely the standout feature of a myocyte, however, is the myofibril, shown closest to the front in the above diagram. There exist hundreds of myofibrils within each separate myocyte. The myofibril is a long chain of proteins, namely actin and myosin. It is in the myofibril that the action of a muscle is generated. The myofibril however is further divided up into small segments known as sarcomeres which are frequently described as the basic unit of muscle contraction. An over-simplification would be that, upon stimulation by a motor neurone the individual sarcomeres, making up the myofibrils, shorten. This means that the myocyte shortens, therefore the bundle of muscle fibres shortens, and as a result the entire muscle shortens, or contracts. This contraction then pulls on the ligament and as a result, the bone moves around the joint. It is clear that muscle contraction is a fairly complex process, but I will attempt to break it down into a step-by-step process and use a final analogy to hopefully make things even simpler. There is also a video attached to the adjacent image which goes into even greater detail if you're interested in the process. As discussed previously, the sarcomere within the myofibrils is where the action of muscle contraction is generated. I've also referenced two key proteins -- actin and myosin. The adjacent diagram is a very useful tool in understanding this process. Within the diagram the blue 'thin filaments' are representative of actin while the red 'thick filament' are representative of myosin. Take note that along the red myosin there are numerous protrusions or heads. These heads have two conformations which are switched between by the release of energy from the breakdown of ATP. (The myosin head has a binding site for ATP). Under normal circumstances, the myosin heads are at a near-right angle to actin filament, however when the myosin head is activated, the myosin head stretches outwards. This process is known as the cross-cycle bridge. The process that takes place is the binding of the the aforementioned myosin heads to specific binding sites on the actin filaments. The head is then unbound from the actin binding site and binds to the next binding site. With numerous myosin heads doing this simultaneously, the result is that the myosin in fact drags the actin filaments on the left and right closer together, resulting in the contracted sarcomere as portrayed in the diagram above. To ensure this only occurs when required, there is a protein coiled around the actin known as troponin. This protein covers the binding sites on the actin, preventing the myosin heads from binding. This troponin, however, changes shape when calcium (stored in the sarcoplasmic reticulum) is bound to it, hence uncovering the binding sites of the actin and therefore allowing the myosin heads to bind. It is for this reason that calcium is integral to muscular contraction. A nerve impulse travels down a motor neurone and eventually causes the release of a neurotransmitter (acetylcholine) at a neuromuscular junction -- a specialised synapse between a neurone and a myocyte. The neurotransmitter binds to receptors on the surface of the sarcolemma, causing the impulse to spread across the surface of the sarcolemma. The nerve impulse enters the infoldings of the sarcolemma (T-tubules) and sarcoplasmic reticulum, stimulating the release of calcium ions that are stored within the sarcolemma. Calcium ions (charged calcium molecules) bind to troponin, changing the shape of troponin and exposing the myosin binding sites on the actin filament. ATP breaks down to ADP + P (phosphate). The released energy activates the myosin cross-bridges and results in a change of the myosin head shape which drags the actin filaments closer together. The sliding of the myofilaments draws the left and right actin filaments closer together, the sarcomere shortens, the muscle fibers contract and therefore the muscle contracts. The neurotransmitter is eventually inactivated by an enzyme in the cleft, or the space between, the neuromuscular junction, inhibiting the nerve impulse conduction across the sarcolemma. Nerve impulse is inhibited. As a result the calcium ions are actively transported back into the sarcoplasmic reticulum using the energy from the earlier ATP breakdown. The low calcium concentration causes the myosin cross-bridges to separate from the thin actin filaments and the myosin filaments return to their relaxed position. The filaments of the sarcomere return to their resting position. Hence the sarcomere returns to its resting length, the muscle fibers relax, and the muscle as a whole relaxes. Imagine the myosin as a climber with sheets of Velcro upon each of his hands and feet. He is climbing a wall interspersed with patches of Velcro and has nothing to help him climb other than the Velcro. He initially starts by attaching one arm to a patch of Velcro. He has had to change the conformation of his hand to do this. This required the input of energy much the same as the changing of the position of the myosin head requires the release of energy from an ATP molecule, on the wall and places the next above it -- again requiring an energy requiring conformation change. Then he pulls the first arm from the Velcro wall and places it above his other arm. He uses his feet in the same type of motion and slowly but surely can climb the wall. In principal this analogy is the same process as the sarcomere undertakes. The climber's Velcro-covered hands and feet are the myosin heads, his body is the myosin and the Velcro sections of wall are the binding sites on the actin. The key point of this analogy is that alone, the myosin heads do not produce the movement. Only when numerous myosin heads work in conjunction can the process procede. There always needs to be at least one myosin head bound to ensure the actin does not move back to its starting position, just as the climber would need one hand or foot bound to ensure he doesn't fall. There are shortcomings in this analogy as there are in any analogy, for example, in the sarcomere, the actin moves, not the myosin. However, I hope, this has helped to simplify the concept. Why are muscles important in ME research? As discussed previously, while muscular weakness, muscle pain, and muscle fatigue are common and traditional symptoms of ME/CFS, research looking into the reason such symptoms exist has been limited. There are, however, some researchers who have noted the frequency with which this symptom is seen, and have undertaken studies trying to understand the reasons. One researcher looking closely at muscle function is of course Professor Julia Newton from the University of Newcastle in the UK. Prof. Newton and her team carried out a study in 2012 where they collected muscle samples from 10 diagnosed ME/CFS patients and 10 healthy controls for in-depth analysis of the muscle tissue, examining its affinity for respiration. The findings of this study were quite surprising. It appeared that patients with ME produced upwards of 20 time more lactic acid upon 'exercise' stimulation than healthy controls. This pilot study suggests a potential pathological problem during the process of muscle contraction, namely a problem during the process of aerobic respiration causing anaerobic respiration to take place at much higher incidence than healthy individuals. Prof. Newton explores where the skeletal muscle respiratory abnormality may originate, in the video opposite: click the image for access. Everybody has experienced the build-up of lactate in the muscles following intense periods of exercise. This research however indicates the possibility that ME patients experience this at much lower levels of exercise intensity. The question then becomes, why might his happening?. But there are, unfortunately, many possible reasons that need exploring before such a question can be answered. The first line of thought could be a fundamental and primary respiratory problem originating either from the enzymes within cellular cytoplasm that control the process or a mitochondrial abnormality. Through either, the result is a limited affinity for exercise due to a build-up of waste products such as lactic acid. One such enzyme Prof. Newton appears to be focusing upon through this research is AMP kinase, a cytoplasmic enzyme which acts as something of a metabollic master-switch within the cell. It controls whether anabolic (the building of larger molecules from smaller ones) or catabolic (the breakdown of larger molecules into smaller ones) processes dominate. Because of this research Prof. Newton has tentatively stated that two independent phenotypes within the ME/CFS group appear to be emerging, split by whether or not phosphocreatine is depleted during exercise. Phosphocreatine functions as a short term (5-10 seconds) energy supply upon high levels of exertion. A second possibility may be a nervous system problem, with over-stimulation of a muscle when such stimulation is not required. As a result the cellular concentrations of ADP may be overly depleted, or perhaps even AMP is being produced, causing a longer duration required for recovery. Perhaps this could even allude to a reasoning behind post-exertional malaise. Numerous other possibilities likely exist to explain this phenomenon. It certainly poses an interesting question which deserves further exploration going forward, with links to many areas such as cardiovascular function and mitochondrial abnormalities. The big question that this research does raise is whether this now observed muscle abnormality is causative of ME/CFS or, and unfortunately more likely, a downstream result of a another problem. As has been well-established, oxidative stress for a short duration can provide potential health benefits. However, when unregulated, such stress causes distinct pathological damage. The paper goes further in this discussion and also reveals that oxidative damage may be a major contributing factor for the muscular symptoms seen in ME/CFS. Given the research discussed in this article, and quite a lot of research besides, it seems that the symptoms of muscular weakness and pain seen in ME do have the potential to indicate lines of thought for further research. While other areas may appear, at the outset, more exciting and immediate, research into the mechanisms behind the symptomatic presentation of diseases is incredibly important for the development of treatments going forward. We are unfortunately not yet in the situation where the pathophysiology of ME is understood. Only through exploring different avenues of research will the answers be found, but it is clear that there is a profound skeletal muscle abnormality to be observed in those suffering with ME/CFS. Excellent article Andrew, thank you for researching and writing about this important issue. I'm immediately forwarding it to my new young and open minded neurologist; he specializes in neuromuscular diseases. I'm sure it will spark some synaptic firing . Thanks, I'm glad you found the article useful. It's not an easy topic to talk about due to the complexity of the systems at play but I felt it was worth writing about purely because of how little it gets discussed relative to the large problem it creates for those suffering with myalgia symptoms. The trouble with this topic is that it's very difficult to keep such an article short, I felt that I was stretching the 'in brief' title a little but I think it's worthwhile the article being a little longer to get the information across! I agree with you when you say that myalgia is an important component of the disease that is frequently overlooked and downplayed. Nice article thank you. The main evolution of the brain has been to control the muscles and as you state it is a very complex process and it only takes some relatively minor changes to start causing significant issues. Regards. The main evolution of the brain has been to control the muscles and as you state it is a very complex process and it only takes some relatively minor changes to start causing significant issues. Are you sure about the brain having evolved mainly to control muscles? The brain has a huge range of vital functions other than muscle control, and even animals without brains have muscles, e.g. as explained here. I just wish I'd been able to write like you do when it came to my physiology exams, Andrew. You have made very complicated stuff easy to understand. It's very true the brain does have a huge range of vital functions and that does not mean it has not also evolved to control those as well. this is interesting although cant digest all but ive heard sbout lactate issues before. i wonder, will the lactate measure device usually for trainer show high result? also what about d-lactate produced by lacto bacteria? Please check out Devin Starlanyl's web site and books on Trigger Point Therapy. 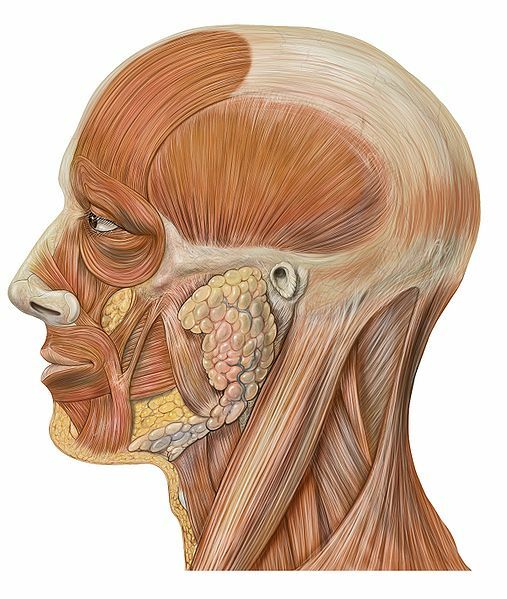 There is loads of information about muscles and fascia that needs to be brought to our attention. It is well documented. At this point most of us have to do it on our own as the medical workers are few and far between. This is still one of my biggest symptoms. It moves around and targets large muscle groups and cause severe pain, mild muscle contractions turn into muscle cramps and the muscle group enters a phase of weakness. It can last 1 week or 1 month. I had a massage therapist tell me that my muscles that are affected during a phase are very sticky when it comes to massaging a muscle and muscles typically are easy to feel or separate the striations between muscle fibers. When they are being affected by the pain, cramps and weakness that it is not very easy to massage the muscle groups as the striation are very sticky and that separating them is easy at all and there are also a lot of tight knots in the muscle groups. Even when they are not being affected I still have quite a few hard knots in my muscles and the usual way of breaking the knots down does not work because it hurts like hell. Most of the time if they even use their elbow to put pressure on the knots, there elbow just rolls off to one side or the other. They always comment that they have never seen knots that hard and that many. Have you tried magnesium? It keeps my muscle cramps away, and twitching as well unless I over-exert. I don't know about a lactate-measuring device - sounds useful. Do you have any links to such products? Is it for measuring blood levels or urine levels? I can't answer your question with any certainty, and d-lactate isn't produced to high levels except in d-lactic acidosis, which as far as I know only involves the gut, but it can certainly have knock-on effects on muscles, brain, etc. There are some threads on d-lactic acidosis. I have blogged about theorised links between gut lactate and muscle lactate here. "Little heed is generally paid to one of the most obvious systems affected by the condition - the muscles." Do I understand correctly though that muscle pain isn't a required symptom for diagnosis with CCC or ICC? Thanx. I believe it is on the symptom list which alongside other symptoms would point towards a potential diagnosis of ME/CFS - but isn't a definite requirement for a diagnosis, if I'm thinking correctly it is under the "any 4 of the following" subheading. That said, it is an incredibly common symptom in the ME/CFS patient cohort. One of the biggest problems with muscle function and neurotransmiters can be caused by Cadmium. In the past it used to be smokers and persons working in iron smelting who suffered with this heavy metal, but over the past 30 years it has been used widely in agriculture and in the food processing industry, causing higher cadmium levels in the general population. Major food staples such as wheat and rice have become contaminated with cadmium through its increased levels used in superphosphate fertilisers. The use of sewerage sludge has also increased cadmium levels in vegetables. The first stage in a high stress condition (fight or flight), causes the autonomic nervous system to excrete zinc because it is a calming mineral and would counteract the increased need for copper to form the increased level of neurotransmitters required in a fight or flight condition. With the replacement of zinc with cadmium numerous problems can be caused in the nervous and energy systems, including affecting the enzymes Acetylcholine and muscles, as well as a- keto- dehydrogenase, Pyruvate dehydrogenase and Glutathione Reductase in the Krebs Cycle affecting cellular respiration. Unfortunately the reduced energy caused by all this hampers the body detoxing cadmium due to reduced ATP, but thats another story. Personally, I wouldn't pay much heed to a call for another criteria for ME - which is what that document alludes to: but it is interesting that the muscles and aches/pains/fatigue/restoration of power are all things that Ramsay and the early crusaders focused on. Early biopsy studies did reveal interesting findings, but these have never to my knowledge been followed up - presumably because muscle biopsy is not something to be engaged with lightly: bit bloody painful! Early biopsy studies did reveal interesting findings, but these have never to my knowledge been followed up - presumably because muscle biopsy is not something to be engaged with lightly: bit bloody painful! I would happily submit to one if it helped progress knowledge about the illness and helped me to be taken seriously by the authorities (and others). In fact I asked my GP if it would be possible to have one when I was first diagnosed - in 1999. He of course said no. This muscle is also involuntary, however its structure is much closer to that of skeletal muscle, showing similar striation under a microscope. Cardiac muscle, unlike both skeletal and smooth muscle, does not tire due, for the most part, to the myocytes comprising 30-35% mitochondria. I do pretty OK for strength - aerobic capacity is out the window.